Amazingly, only six RS cars have even been sold in the US. RS is to Audi as AMG is to Mercedes and M is to BMW. 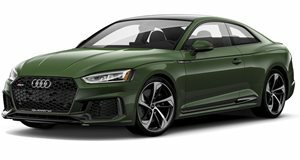 Even though BMW and Mercedes are quickly expanding their performance portfolios in the US, Audi has lagged behind in offering RS cars in North America. In fact, there was a time when Audi only sold one RS model at a time. This means that (excluding generational overlap) there have only been six different RS models on sale in the US. With only six cars to choose from, we decided to rank the five best RS cars that have ever been sold in the US from so-called "worst" to best. Coming it at number five (the lowest spot) is the RS5. We decided to put the B8 and B9 generation RS5 on this list because neither is our favorite RS car. The RS5 had a few issues. For instance, the engine was out passed the front axel line, which caused understeer. The first RS5 had a naturally aspirated 4.2-liter V8, which sounded great, but the new car uses a 2.9-liter twin-turbo V6 which almost certainly won't sound as good. The RS5 has always been a quick car, but the new M4 is a more dynamic car and better on a track. 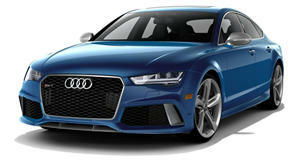 The RS5 is more comfortable on the street and in cold weather climates, which might be perfect for some buyers. The US never got the RS4 Avant, which we preferred over the RS5 Coupe. It wasn't easy to put the RS7 at number four, because we really do love this car. The A7 might be the prettiest car that Audi has ever built, and the RS version is one of the fastest four-door cars on the market. The RS7 is looking a bit dated next to the new E63 AMG and upcoming M5, but the new performance version of the RS7 pumps out 605 hp from its 4.0-liter twin-turbo V8. We had a chance to drive the RS7 performance, and the burbles from the exhaust alone were enough to make us love this car. Our only gripe with the RS7 is that we wish Audi sold the RS6 Avant in the US. The original RS6 sedan from 2003 was the first RS car sold in the US and is the only model not to make this list by a hair. The Audi RS3 is a car that American enthusiasts have been begging for. Europe has had the RS3 for a while now, but the US had to be content with the S3. Audi is finally done letting the BMW M2 and Mercedes CLA 45 AMG have all the fun. The RS3 comes with a 2.5-liter turbocharged five-cylinder with 400 hp. We wish that there was a manual transmission option as well as a hatchback variant, but the dual-clutch sedan is all that we will get. The RS3 costs around $55,000, which we think makes it a great value. The car can hit 60 mph in just 4.1 seconds, although we bet it will actually be quicker. We are happy to finally have the RS3 on American shores. Coming in at our second spot is the B7 Audi RS4. Many people forget about this car because they were only sold in 2008 in the US. The RS4 was built in the B5 generation in Europe and skipped a generation worldwide. Only around 10,000 B7 RS4s were built of which only around 2,000 ended up in the US. The car could be had as a sedan or convertible (or wagon in Europe), both of which came with a 4.2-liter 414-hp V8. This engine was an absolute monster that could rev to 8,250 rpm. The RS4 was also cool because it was only available with a six-speed manual. Europe did get some better options like the wagon variant and special Recaro seats, but we still think that the RS4 is a future collectible. The TT RS is unconventional because it puts the "RS" after the model name instead of before it. Much like the 1 Series M, the TT RS is a hidden gem that only true enthusiasts fully appreciate. The first TT RS produced produced 340 hp from a 2.5-liter turbocharged inline-five. Audi upped these numbers to 360 hp with the TT RS Plus. The original car was only available in the US as a coupe with the six-speed manual, but Europe also had a convertible and dual-clutch option. The newest TT RS now has 400 hp and loses the manual transmission option. We still love the TT RS because it is a tuner's dream that can even defeat its big brother, the R8.